Hengameh Vahedian, appears in this undated photo with her father, jailed rights’ activist, Abbas Vahedian. Hengameh Vahedian, daughter of rights’ activist, Abbas Vahedian, addressed the European Union representatives and Special Rapporteur on Human Rights in Iran, Mr. Javaid Rehman, regarding her father who have been imprisoned since October 11. In a video message, Hengameh Vahedian said, “My name is Hengameh Vahedian the daughter of Abbas Vahedian the activist who was arrested in September this year by the Iranian security forces. After my long discussion with the prosecutor they decided to release my father on bail. However, when I produced the documents for his release to the prosecutor, Mr Soleimaninejad, he responded that he does not see his release in the best interest of the country, and his interrogation should continue for further 10 days. When I protested that he and the prosecutor had agreed to his release during our last meeting. He replied that he no longer sees his release in the best interest of the country and if I were to protest his decision he would throw me out of the court and not allow me to return. Mr Soleimaninejad’s word cannot be counted on as he constantly seems to change his mind. For one day he says, I will release your father without delay, but then the next day he requires documents. However, then despite me bringing the documents he does not release my father. It seems that the only choice open to me is to bring forth my case to international institutions like the European Parliament and to persons like Mr Javaid Rehman, the UN special human rights rapporteur for Iran. By doing so, I hope I can secure my father’s release, as I am all alone here and I have no one else to help me in securing my father’s release. As the Iranian prosecutor, does not respond to my requests, and he doesn’t even allow my father to have his own legal representation. My father, who was interrogated for forty days and has always maintained his innocence. He has stated that without being provided his own choice for legal representation any case against him will have no legal merit. The prosecutor in response has told my father that he can only have a lawyer chosen by the court system and is not allowed to have his own legal representation. 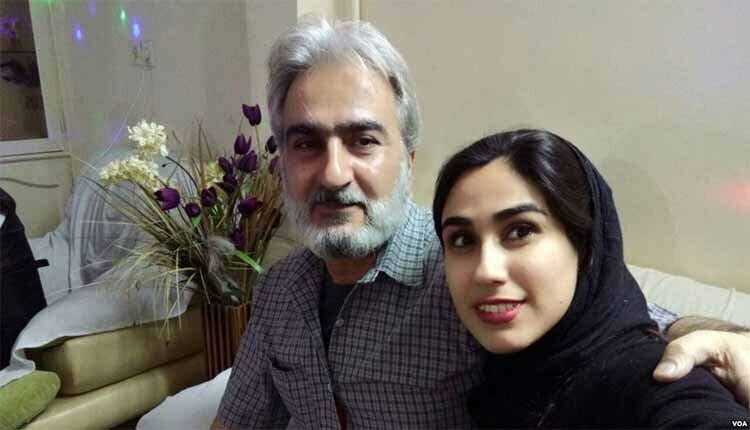 A teacher, author and a member of The Iranian Teachers’ Trade Association (ITTA), Abbas Vahedian, was arrested on October 11, at his home in Mashhad on the eve of the sit-in strike by security agents who raided his house, confiscated his personal belongings and took him to an unknown location. He was taken to an Intelligence Department detention center on November 29, despite the fact that prosecutor had ordered to release Vahedian on bail. Earlier on November 21, Mr. Vahedian was faced national security charges, including “disrupting national security” and “trying to topple the Iranian regime” at the revolutionary court of Mashhad.